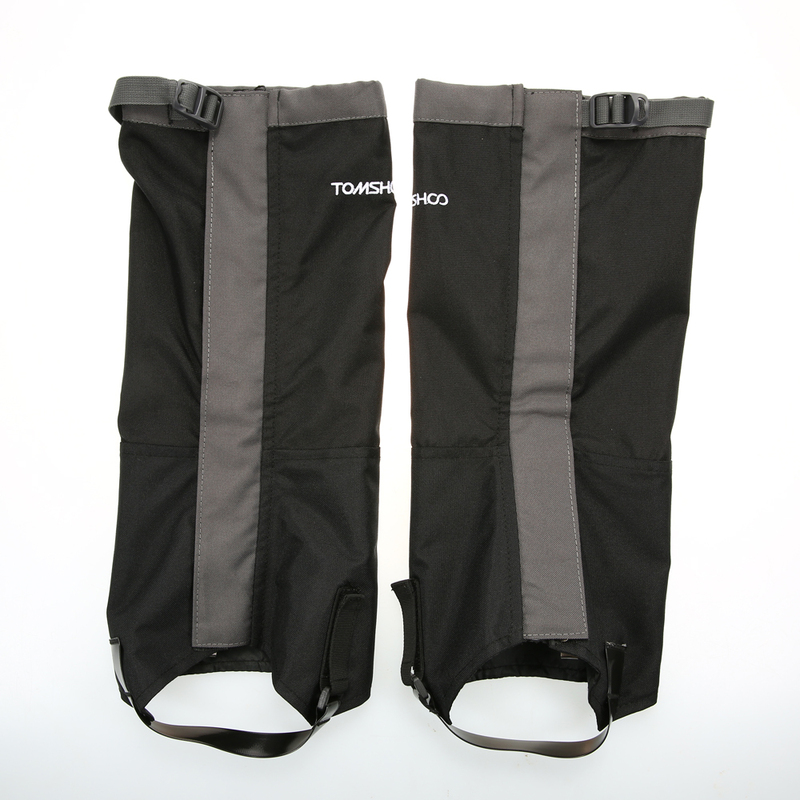 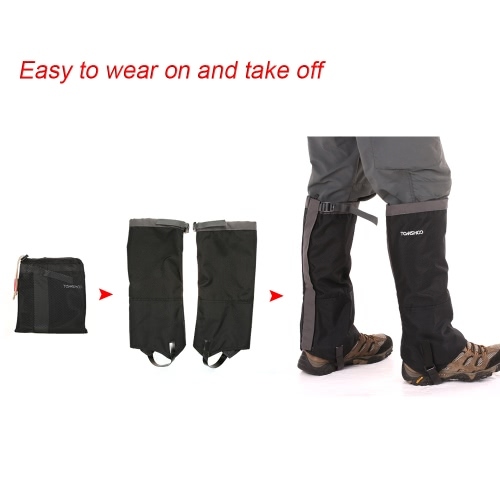 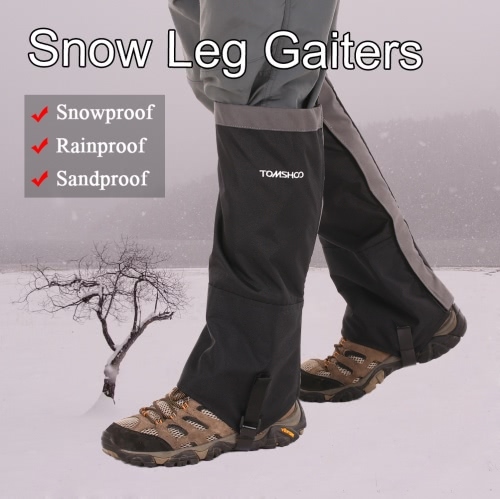 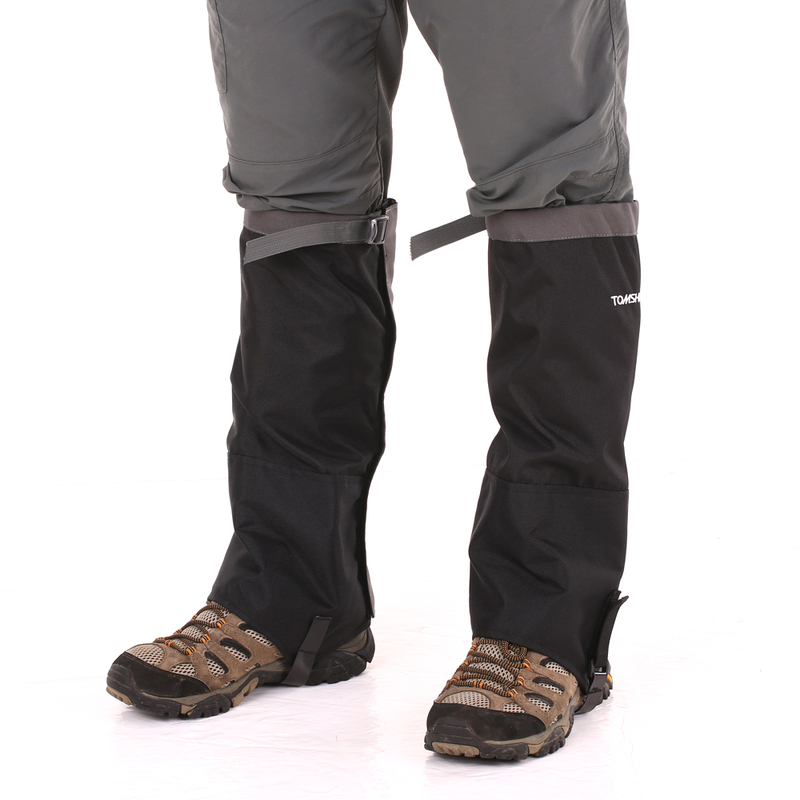 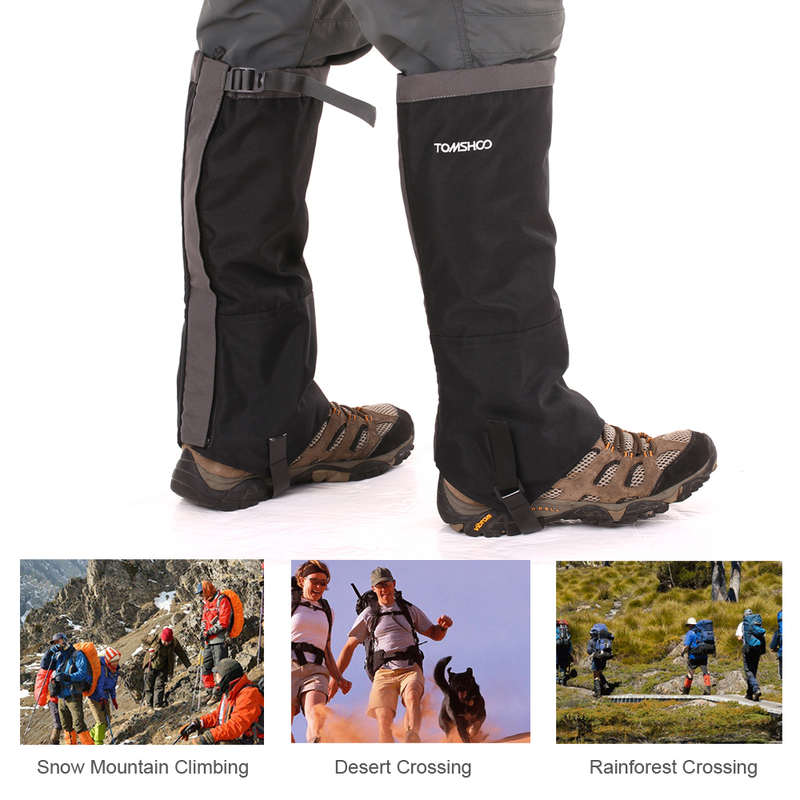 This pair of gaiters can prevent your boots and pants from water, snow, rain, mud, wind and insect. 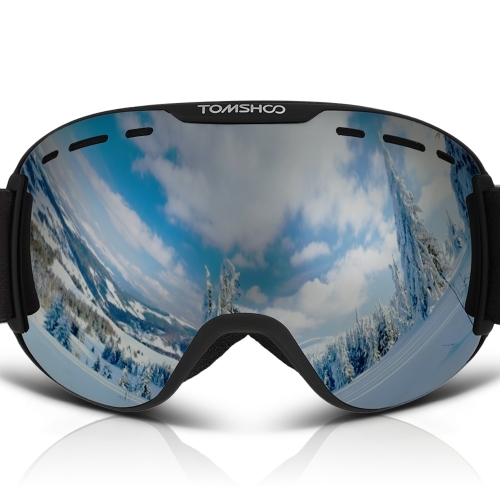 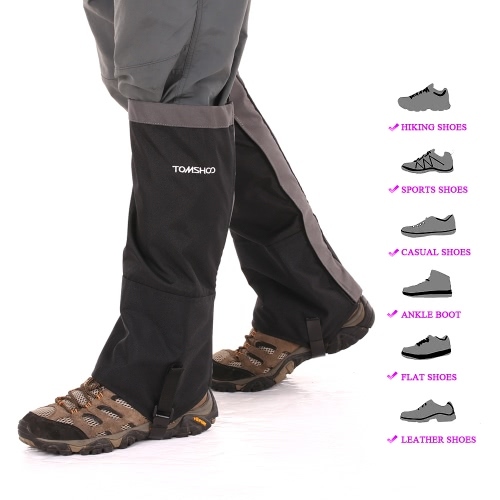 Wearing this product, you can go skiing, hiking or climbing freely without worrying about weather or landform. 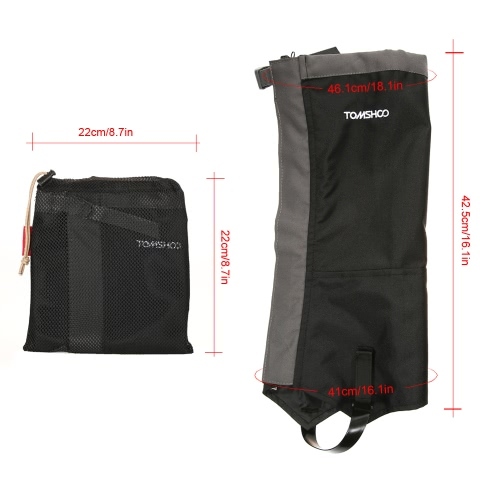 600D anti-tear Oxford cloth, wear resistant water repellent and windbreak and keep your leg warm. Easy to wear on and take off, triple protection with zipper, fastener tape and buckle closure. 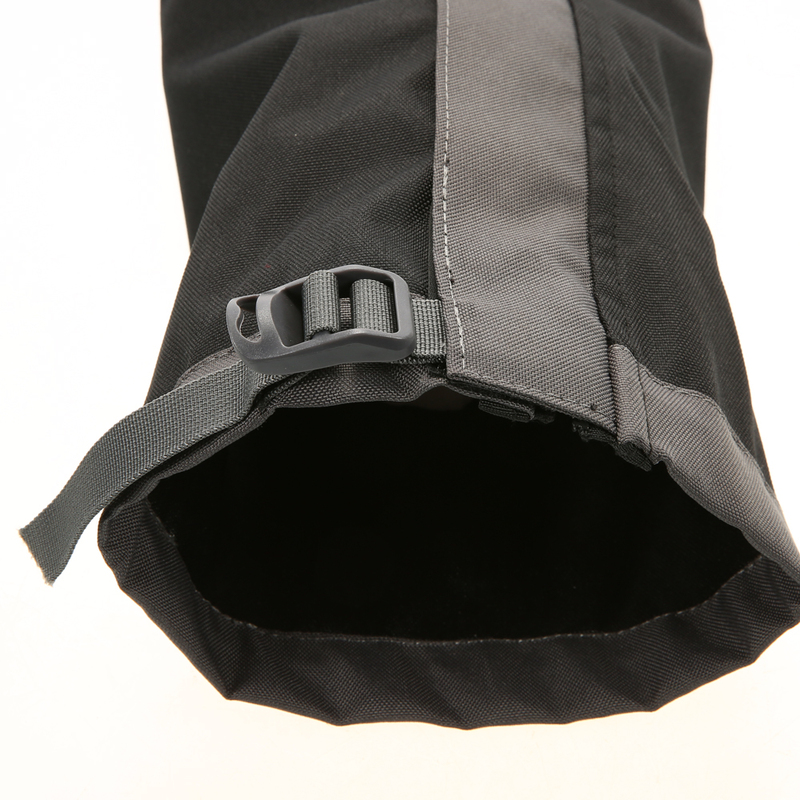 Firm hook fasten to shoelace and an adjustable strap at bottom to prevent gaiters from riding up. 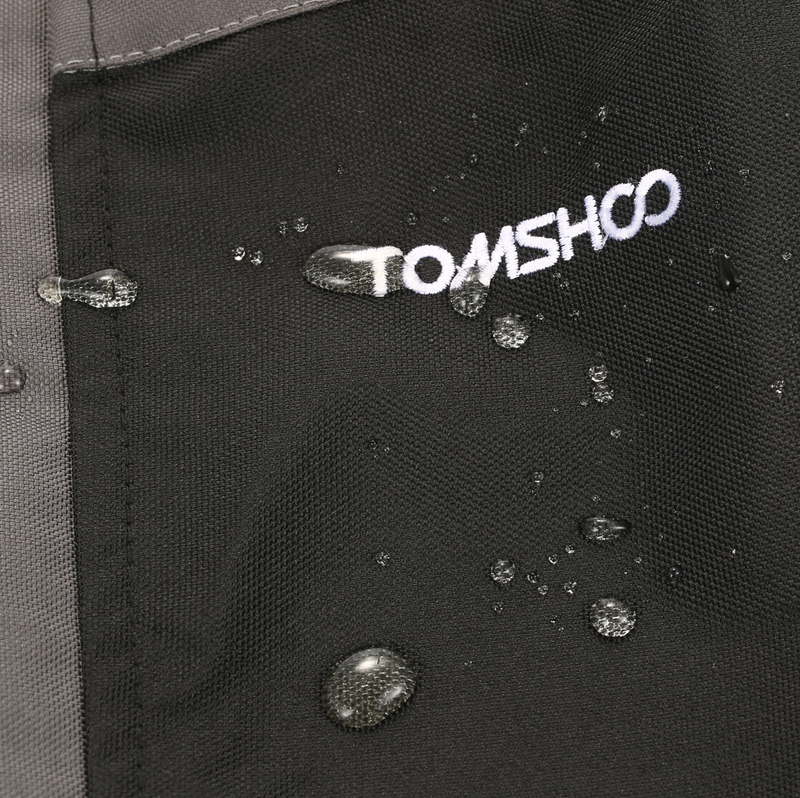 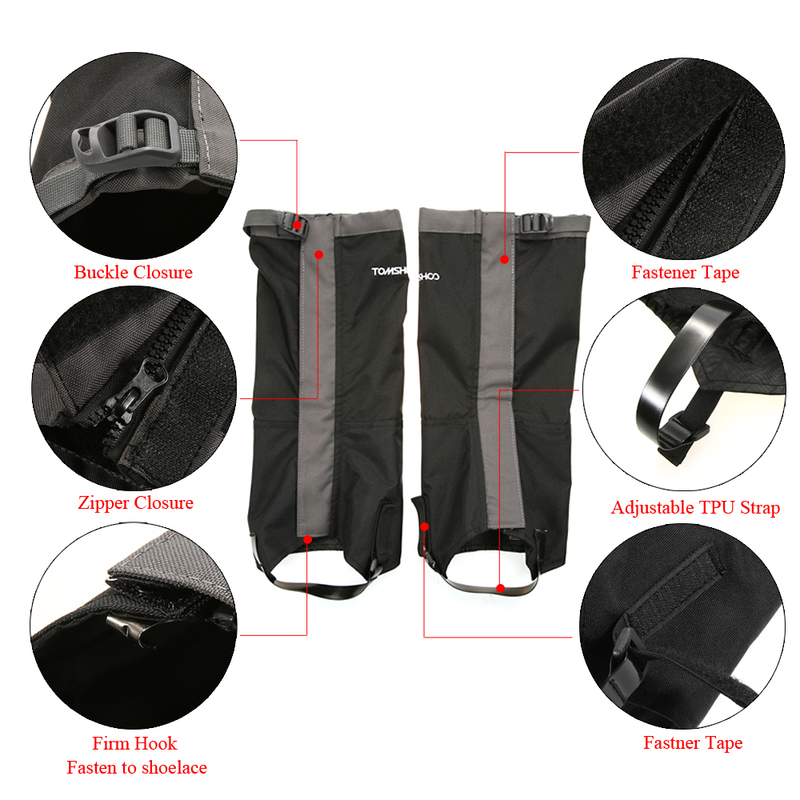 Protect your trousers from rain, snow, water, bugs and mud. 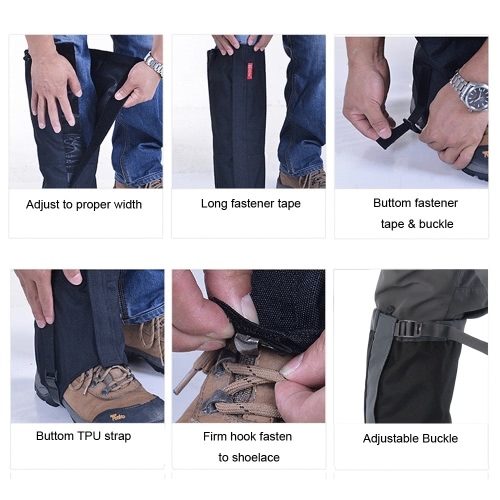 Free size with adjustable buckle fits most people. 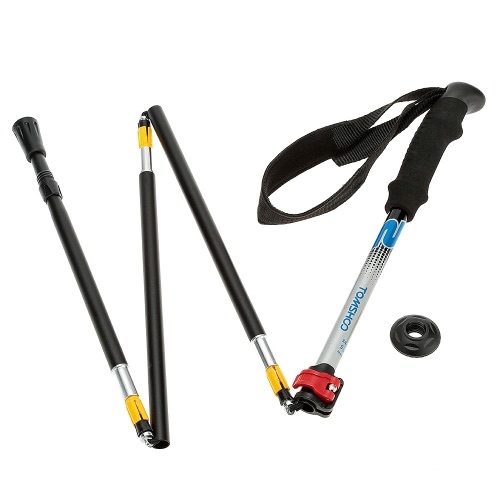 A good companion for outdoor travel, skiing and climbing.